WE’RE all part of a tribe. I was asked to speak. That is how this all began. It was a business event and I showed up barefoot with my yoga mat. Speaking is another form of practicing to me. We will practice together and by the end, you will be part of a tribe. Every speaking engagement is interactive. This time is for you. To go within. To connect. To heal. To cultivate your vision and rise. I will begin with you. I will guide you forth. All practices are interactive and filled with inspiration + guidance + healing. 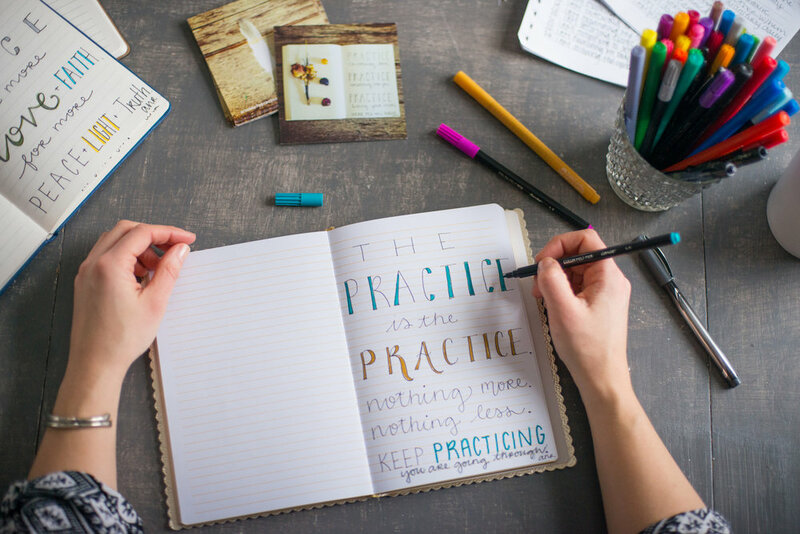 The Practice carries guides, journals, pens and creative supplies. The Practice can be customized for your event. “Girl, you are a constant inspiration!” - Jessica H.
”I really liked this. I hope to jump start my journaling and keep it going.